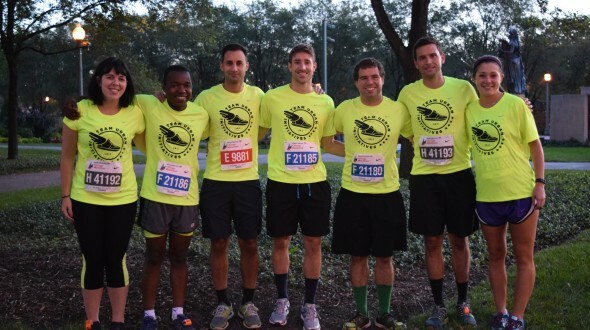 Join Team Urban Initiatives at the 2018 Bank of America Chicago Marathon! Accomplish a life goal. Enjoy a year of healthy living. Empower Chicago’s Youth. Team Urban Initiatives welcomes you to join their 2018 marathon team, and make the most of your 26.2 mile experience. Team members will raise funds in support of UI programming, and serve as positive role models for the children we work with by promoting the rewards of physical fitness, personal commitment, and hard work. For more information regarding Team Urban Initiatives, please email Kaitlyn Klapperich: kaitlyn@urbaninitiatives.org. * Fundraising minimum is due by Monday Oct. 1, 2018.